We’re watching the new president in awe – this man who nailed the presidency with more than 15 M solid votes. The narrative of his victory tells us us we can hope again and people are becoming more and more curious to take a peek at the vision of the future he is promising us. 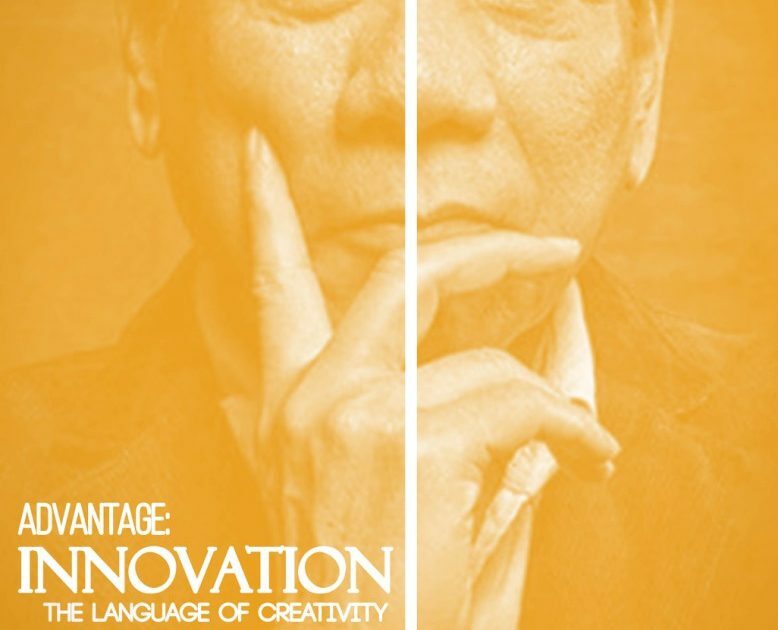 What made President Duterte FASCINATING to his audience and how should he language his message in the next 6 years to continue to leave his people watching him in awe saying, “Yes, that’s my ROCKSTAR PRESIDENT!”? 1. The Maverick Leader – Pioneering. Irreverent. Entrepreneurial. That’s his best package and one that makes him a potentially promising leader. President Duterte promises to protect the innocent and the downtrodden and he will stop at nothing to experiment with new ideas, even when the environment is highly stressful. His irreverent solutions have made people believe that he will protect the good citizens from the few criminally guilty bad apples. Like a Crimefighter ala Batman or Captain America, President Duterte’s campaign centralizes on this aspect — the annihilation of crime that strikes fear to most of our fellow countrymen. 2. The Change Agent – A unique blend of Power + Innovation, this is the force behind the battle cry ”Change is Coming”. This refreshing outlook has made people believe that President Duterte will be a catalyst for drastic and lasting change. 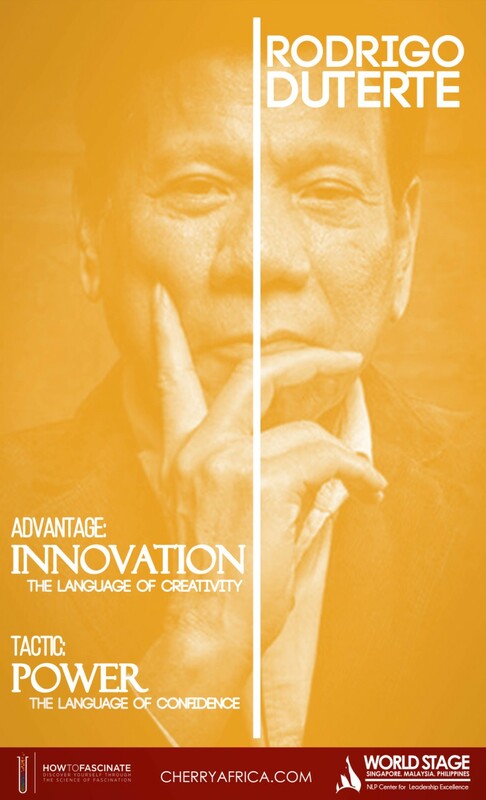 Armed with his extreme, different, yet presumably effective measures, he makes people believe that he can bring forth a creative revolution, revitalize government offices and metamorphose officers back into ideal public service shape. 3. The Authentic – “This is who I am, I will not apologize for something I believe in.” One of the things about President Duterte that appealed to a lot of people was his ability to stand on his own truth. He never compromised who he was, despite the generous dosage of criticism that came his way. In a political landscape such as ours – a scenery full of deception, betrayal, manipulation and the like — the public appreciates and will continue to appreciate honesty. 4. 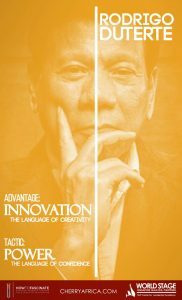 The Provocateur – Clever and adept, President Duterte might have a sharp tongue, and a unique sense of humor but people still see the diamond in the rough. There is a special kind of charm that he possesses and it has to do with his down to earth nature. There is a mysterious yet predictable air to him, and this makes his followers want to hear more of him. People are curious when he provokes them with outrageous ideas and they can’t wait to see what he’ll come up with next . 6. The Rockstar – Why is it that when most people see celebrities, all of a sudden, they feel nervous, or quiet or unable to speak? They command attention and liven up any situation with their humor and bold personalities. That’s the X Factor of President Duterte. People want to be like him. People fall in love with the idea of being him, having his influence, and thus, the ability to create a better life for themselves. 7. The People’s Champion – “I do not care if I suffer, so long as the people I serve live in paradise.” This is thoughtfulness at the highest level and President Duterte seems to exude the aura of a selfless politician. His message is simple and yet very enthralling: “I am on your side and everything will be ok.” That makes him dynamic, inclusive and engaging. 8. The Secret Weapon – He’s nimble, unassuming and independent more like the veiled strength or the underdog. What is it about the underdog that appeals to so many people? Perhaps is that secretly, there is an underdog in all of us. We’ve all faced adversities bigger than us, and we root for those who, despite their weakness and the odds being against them, are able to succeed. Seeing President Duterte succeed despite his humble beginnings gives us all hope that we can still overcome and become the best versions of ourselves. 9. The Good Citizen – He’s consistent, has produced a winning track record and continues to be alert, point by point, line per line. “Just look at Davao.” Nothing impresses anybody as much as a clean track record. When somebody who has already done something in the past, it would be much easier to believe that he can replicate the results altogether again. 10. The Intrigue – President Duterte’s candid nature is a refreshing sight in the midst of the seriousness of Philippine politics. He brings a sense of mystique and you don’t know what will his next move be. He makes things light-hearted and funny. That makes him relatable and one with the Filipino masses. What’s your Zone of Fascination?